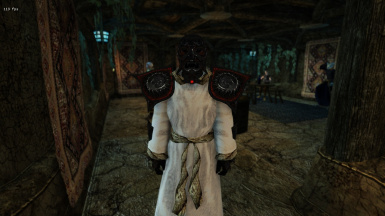 What armor mod are you using in the eighth image? 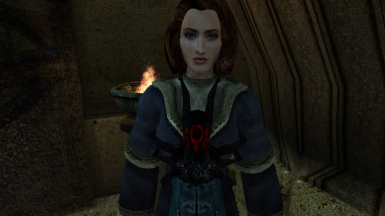 None, that's daedric armor. I think it's with Baldurian's replacer included in MGSO. 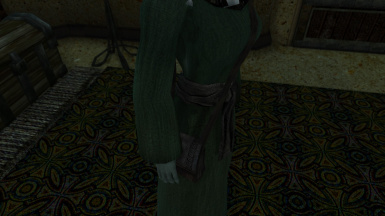 Great robe textures! I ended up converting all the files over to dxt1 since the alpha isn't used it saves a lot of memory 104mb to 55mb. If you like this, you should check out the new version of this called " Robe Overhaul". What is the difference between this and the basic pack in Robe Overhaul? 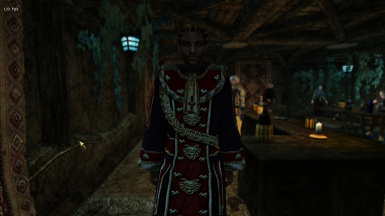 In Robe Overhaul every texture has been remade. They are generally more detailed and higher quality. It is essentialy the official continuation of HiRes Robes. I'm following the instructions, but it isnt working. 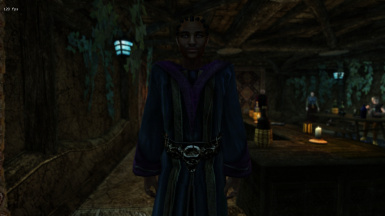 How to Install Morrowind Plug-ins. 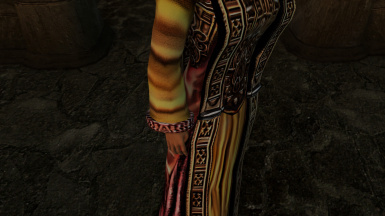 The only thing that seems wrong to me is that insect wings on Telvanni Extravagant Robe (on the third screen) also got the fabric texture. I always presumed that it is actual insect attached to the robe (very "morrowindish", I think), not some kind of stylized decoration. That is correct. 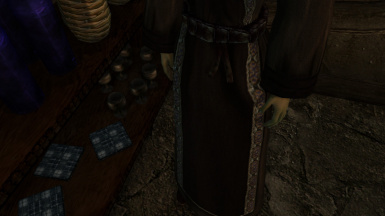 I just realized that the insect on the robe is real and even the musk flies added by Tamriel Rebuilt are affected. But that's the first thing i'm going to change in the next release. Looks great with Better Robes! Endorsed! Well, it was actually intended for use with Better Robes, even though it also works without it. Thanks for the comment. 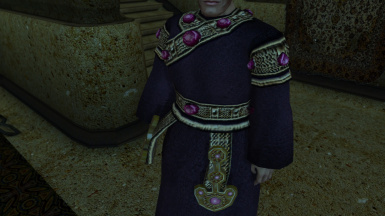 A great texture replacer, it vastly improves the quality of the game's existing robes while maintaining the original design and feel. Thanks for this, and endorsed! 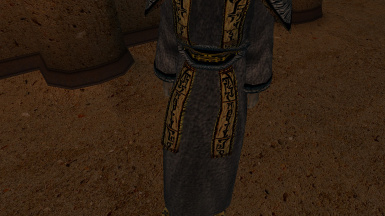 Definitely a nice alternative to Better Textures for Robes. I'm looking forward to any further improvements you make! Thanks for sharing! And this is your first mod? Quality stuff for a first release for sure. Yep, that's my first mod, so thanks for the kind words. 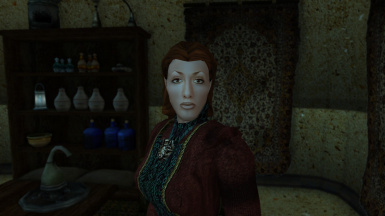 And I'm quite sure that I will further improve the mod over time, especially the textures that I'm not quite happy with. Looking forward to seeing more from you! There's still so much to be improved upon in this game. You forgot to include two textures. oops, forgot to include them in the archive, terribly sorry.